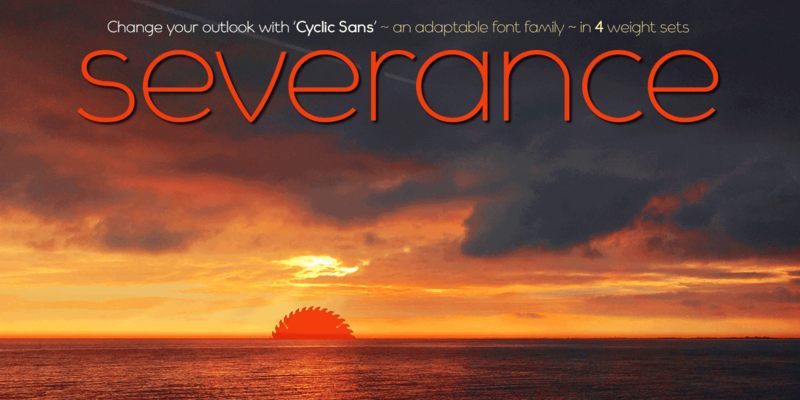 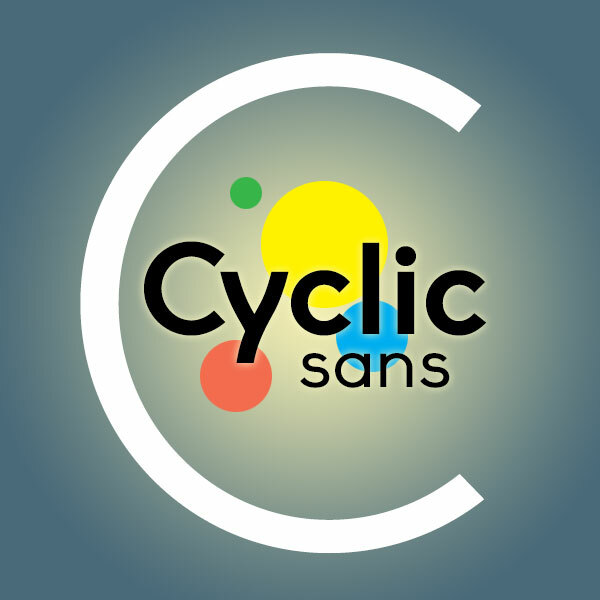 Cyclic Sans is a legible and highly distinctive type family in four weights, running from Light to Heavy. 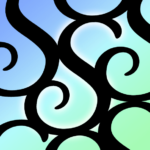 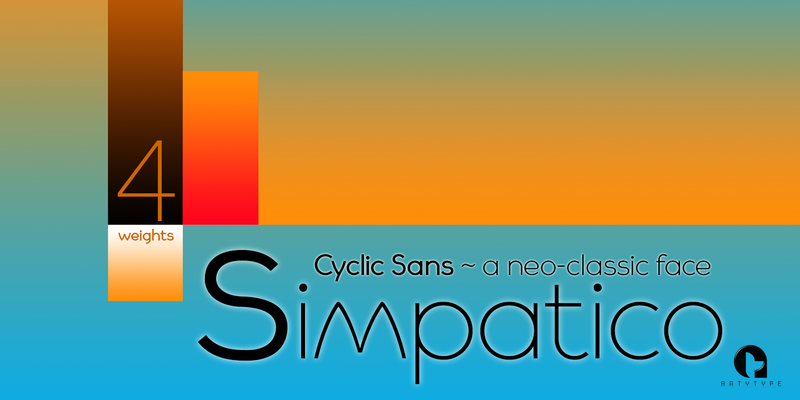 A stoic sans, imbued with strength and charm, the fonts can be paired with their Cyclic Serif or Cyclic Uncial counterparts to stunning effect. 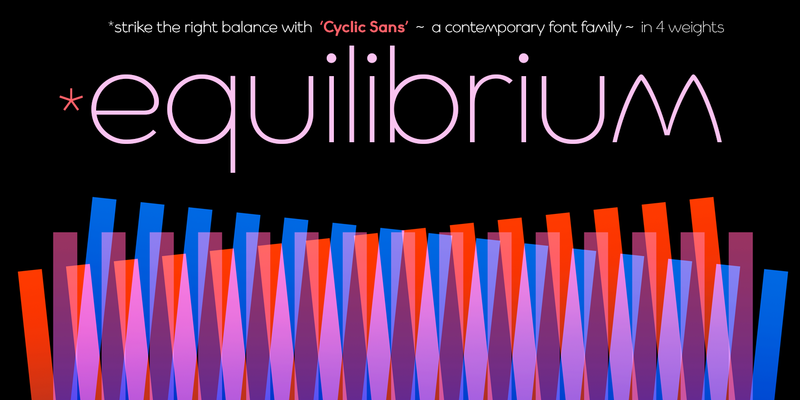 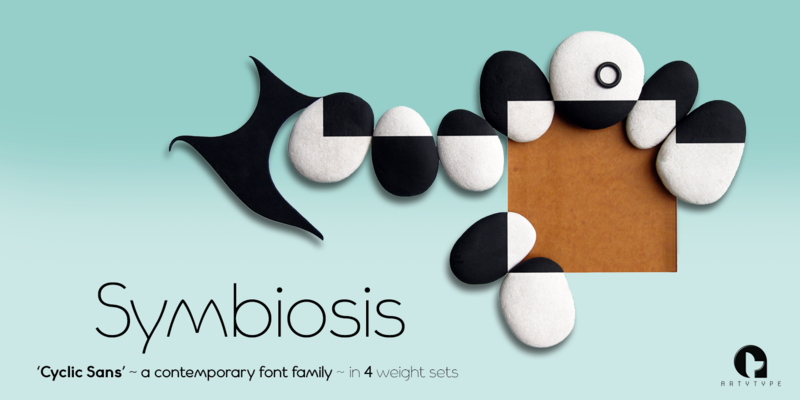 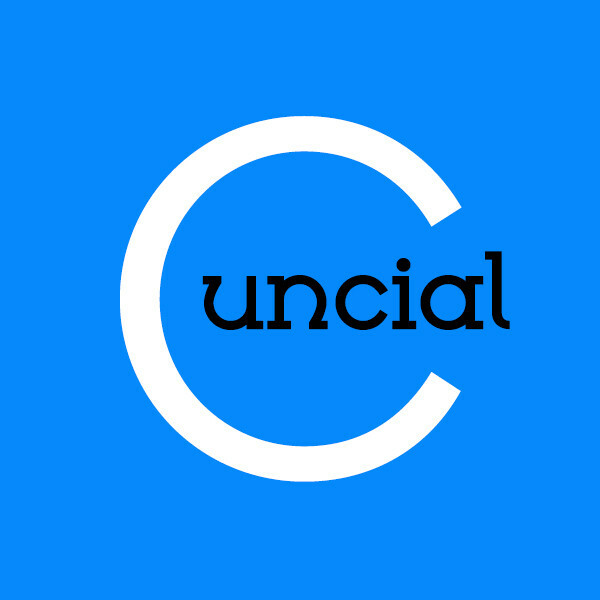 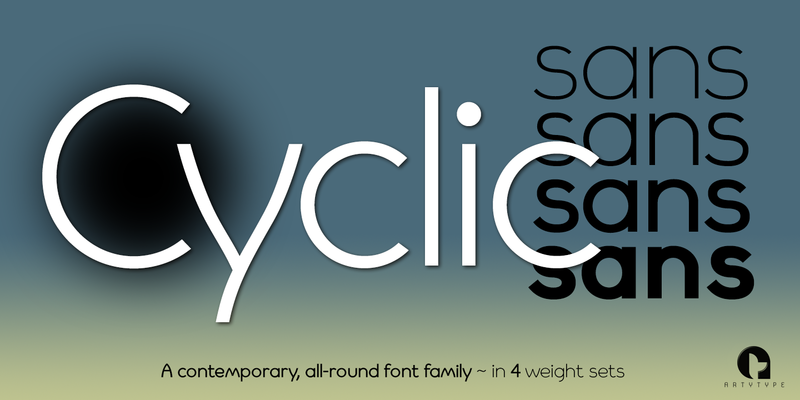 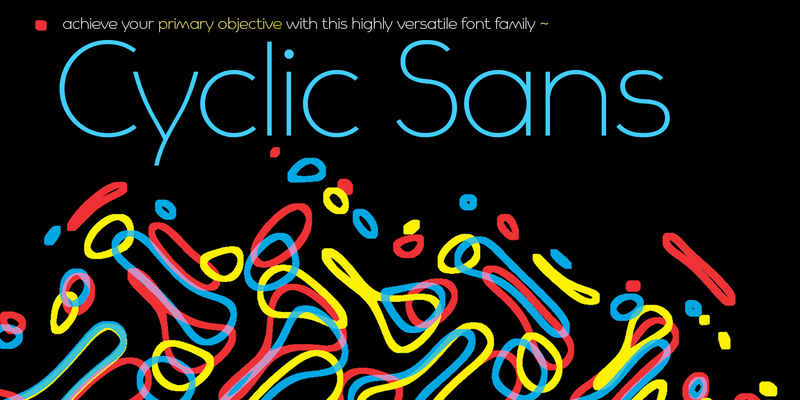 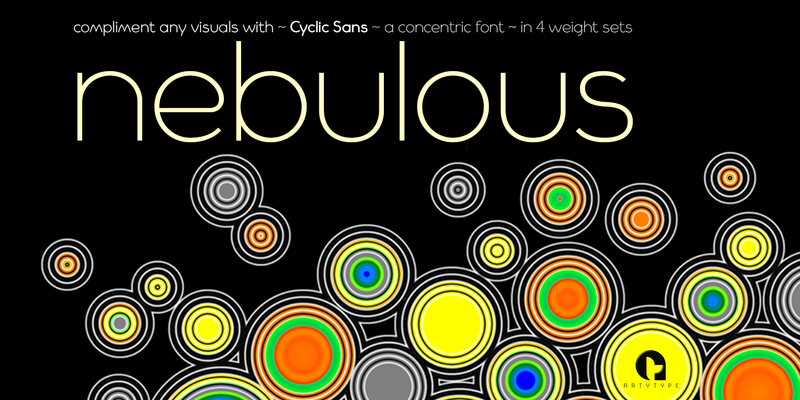 The sans version of Cyclic packs an additional punch with the inclusion of a high impact Heavy weight. 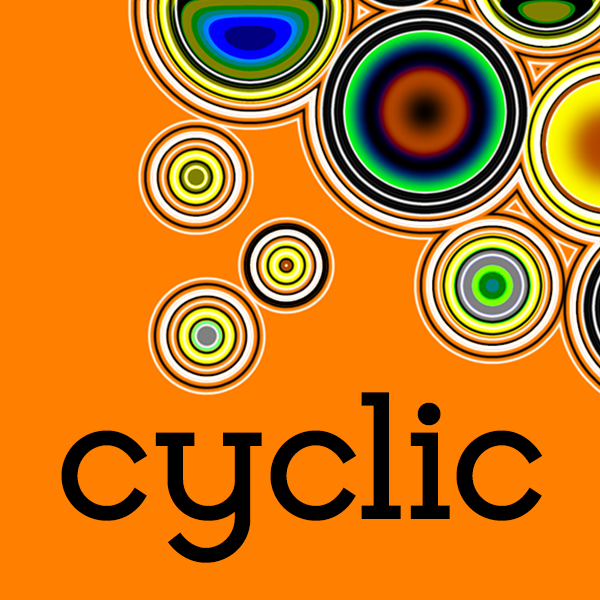 Cyclic Sans is a stylish modern face and a versatile all-rounder, ideal for both text and headline use.